Steak lovers all like their Steak cooked a certain way, and why not? Having a great Steak is part of enjoying the good life and our individual choices are what make us unique. To accommodate everyone’s unique taste there are many different levels of cooking that all have their advantages. So, cook it the way you like! Here is a guide to common steak temperatures. Raw: Raw meat dishes must be done with the highest quality of meat and although it is designated as raw, most dishes that call for raw beef use citrus or some other acidic compound that actually does “cook” the meat a little. Common dishes that may contain raw beef are Steak Tartar and Carpaccio. Blue Rare/ Very Rare / Pittsburgh (100 degrees F. core temp): When a steak is prepared “Blue” it has to be cooked very quickly. The steak’s outside is seared over high heat while the inside is still cool or barely warmed. Steaks prepared to this temperature are slightly chewy and not as juicy since there has not been much heat applied to draw out the natural juices in the steak. Rare (120 degrees F. core temp): These Steaks are also cooked very quickly with a browned/seared external facade. The inside is dark red and only slightly warm. Rare steaks can be very juicy and for a lot of steak connoisseurs, this is the only way to go. 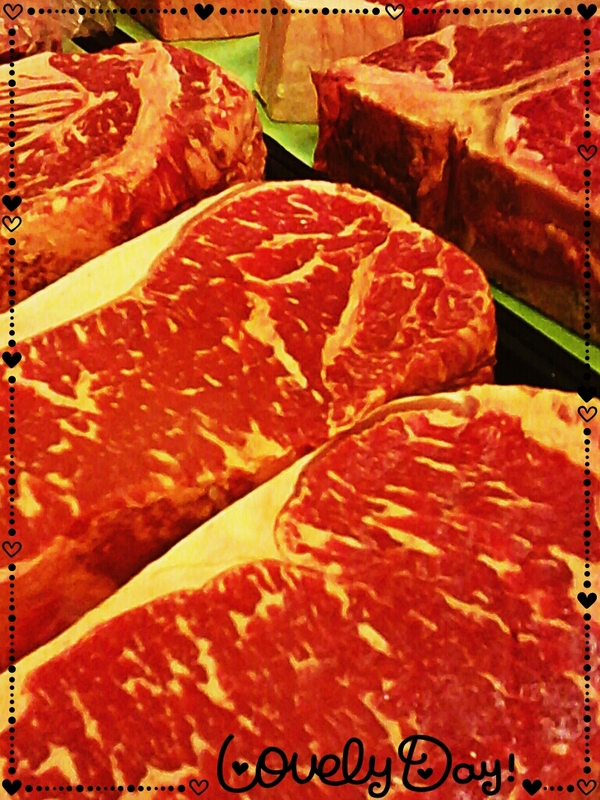 Medium-rare (126 degrees F. core temp): These are Steaks cooked to a red yet warm center. Many consider this to be the sweet spot for a steak. No part of the steak is cold and very little of the steaks juices have been cooked away. Medium (135 degrees F. core temp): The center is heated and red center is surrounded by pink gradations. The outside façade is brown and fully cooked. Medium is truly a great temperature because every part of the steak is piping hot when eaten. Medium is probably the second most popular temperature for premium steaks. Medium-well (145 degrees F. core temp): The center is slightly pink with gradations of grey that permeates the entire Steak’s interior. The outside of the steak is brown and fully cooked. Medium-well is probably the highest temperature anyone should consider cooking a high quality steak and not waste the superfluous money acquiring that premium marker. 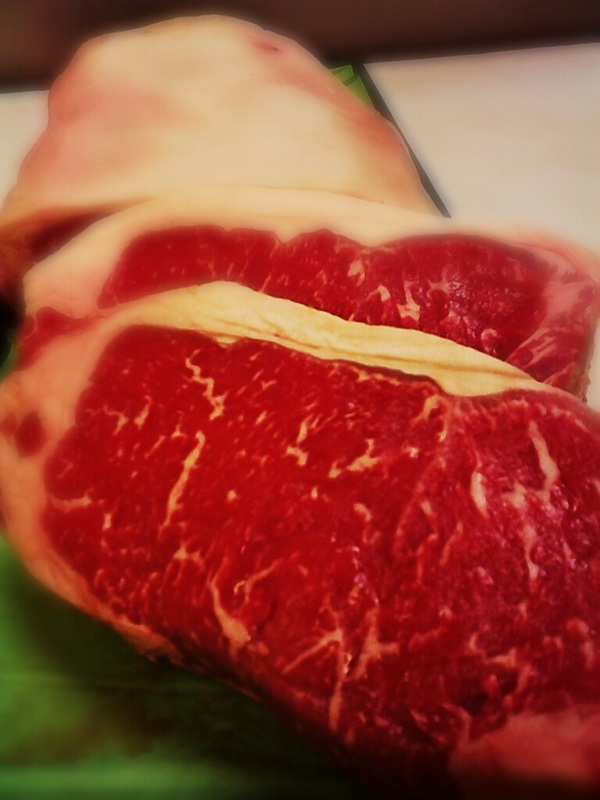 As heat is increased moisture and flavor is decreased in a medium-well cooked steak. Medium-well is still a great tasting steak but will not be as juicy as a medium or medium-rare steak. Well Done (165 degree F. core temp): The meat is brown throughout and slightly charred. You might just consider eating a piece of shoe leather for the same pleasure platitudes.